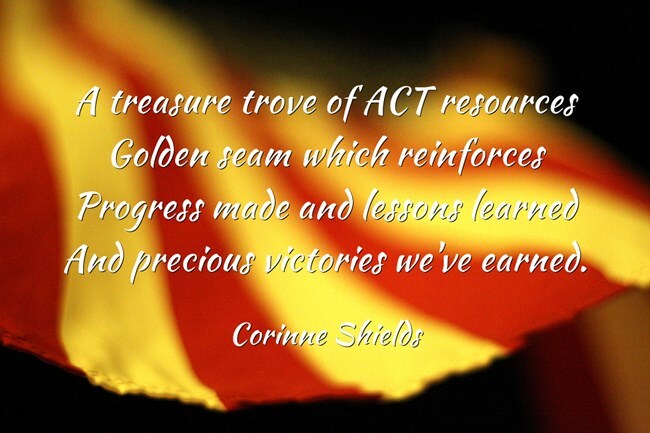 There is a wonderful wealth of ACT resources to entertain, educate and inspire us. What follows is a compendium of ACT resources that I have found to be personally helpful. I hope you do too. If you have other suggestions to make then please leave them in the comments section for others to share. That’s the essence of the ACT Community. Helping others and thereby helping ourselves. What goes around comes around. It’s all good karma! ACT With Compassion is for therapists who are interested in bringing more compassion and effectiveness to their work with self-critical and shame prone clients. It aims to bring together information and people who are interested in studying and developing treatments that have compassion at their heart. The team hope that this site and related social media will develop into a place for conversation and contribution. How can I help myself when the world turns on me? Steven Hayes’ wonderful book is a classic of ACT Literature. I will refer to it often and recommend it to you whole-heartedly. 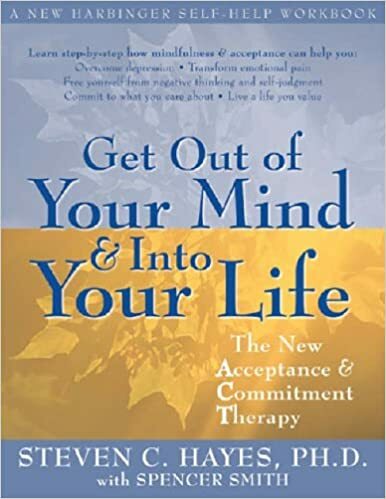 Hayes is one of the founding fathers of ACT and this is considered to be the quintessential workbook on acceptance and commitment therapy. It is a book that is suitable for all. A great read for patients, therapists, researchers, and educators looking for a comprehensive explanation of the nuts and bolts of the ground-breaking new therapy that is ACT. My life’s so difficult. How can I cope when things go wrong? I love this book! Because it is the one that I am currently reading it is one that I refer to a lot!! Again It gives a comprehensive overview of ACT and is full of useful workbook activities that can be used by clinicians and clients alike. I particularly like the real life scenarios that make the examples come alive. The strapline encapsulates what the book is all about. 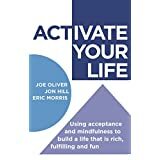 “Using acceptance and mindfulness to build a life that is rich, fulfilling and FUN.” I like that! Sometimes we forget that that is what life should be about! Sometimes we are so busy concentrating on the serious side of life that we forget to have FUN! I refer to this book in alot of my early posts and for one in particular, “ACT and the Value Driven Life”, I found its workbook activities especially useful for clarifying values. 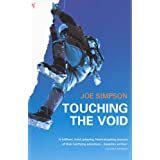 This wonderful book tells the inspirational story of Joe Simpson and his battle for survival against all the odds. It reminds us of how taking one step at a time can lead to incredible progress. In Joe’s case his desperate one crawl and hop at a time led to him making his way back to base camp after a mountaineering accident. Everyone had given him up for dead but Joe said a little voice inside kept him going and led to his miraculous survival, one excruciating step at a time. Metaphors are widely used in the ACT Therapeutic Process and with good reason. A timely metaphor, preferably arising out of the client’s own experience, has the capacity to heighten awareness with an immediacy not open to more traditional methods. 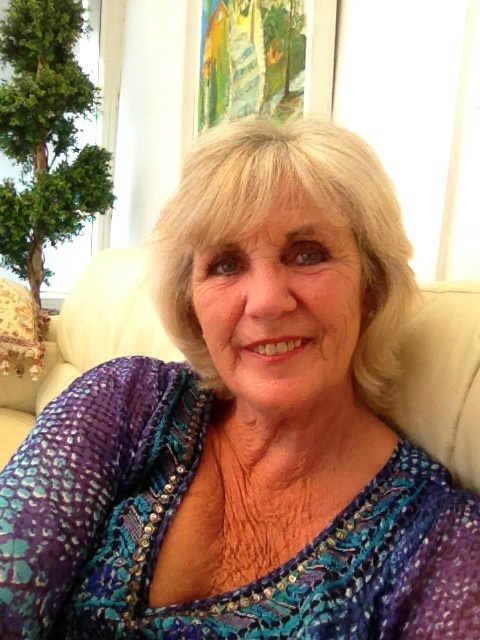 This book comes with many Five Star Reviews and is widely used by therapists. I found it really interesting and I am sure that you will too. He talks about how research shows that most of us spend approximately 47% of our waking hours anywhere other than in the present moment. We are, to quote Moran, “there and then, as opposed to here and now.” And, of course when we are “there and then” we are missing out on the opportunity to do something meaningful “here and now!” Read more at ACT and the Present Moment. I loved this article entitled “Is Self Compassion More Important Than Self Esteem?” written by Steven Hayes in the Huffington Post. He makes a good case for saying that it is! For an in-depth analysis of the question it makes riveting reading. The first Mindfulness Book I came across is one that I still use and recommend to anybody who asks me about Mindfulness. 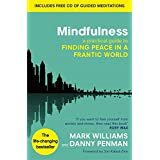 It comes with an accompanying CD and when I finished my first Mindfulness Course the group continued to meet independently and we used Mark Williams and Danny Penman’s book for support. It is a great introduction to Mindfulness. There are some great websites where you can learn more about ACT. One I came across recently is getselfhelp.co.uk. I used it when I was looking for more information about Defusion Techniques. It is full of really interesting information about ACT and CBT and contains a wealth of free resources.